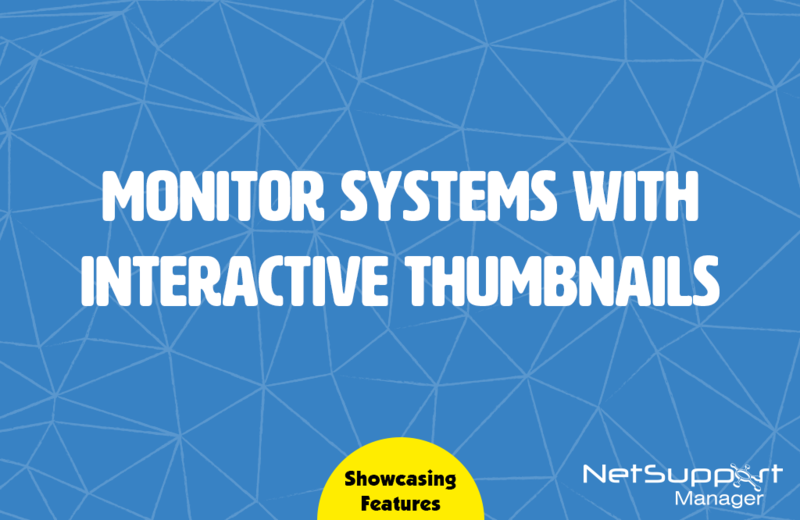 Did you know that the Monitor Mode feature in NetSupport Manager allows a user to display a thumbnail view of all connected Client workstations simultaneously? The size of these thumbnails can be adjusted to suit. In addition, the user can mouse over a specific thumbnail for an expanded view of each selected PC. This unique feature allows a user to keep a constant eye on target systems and immediately identify whether intervention is required. The view also provides key visual information such as OS type, network address, WiFi signal strength, and battery life (where appropriate), the current logged-on user and the computer name for easy identification. Users can even choose to view a selected monitor from multi-monitor systems.